Frozen shoulder condition can be diagnosed by the presenting symptoms and radiological diagnostic procedures such as X-rays. MRI is typically not needed. Dr. Patel has developed a minimally invasive non-surgical procedure to help resolve persistent frozen shoulder. With the use of an in-office needle camera, Dr. Patel, can distend the shoulder joint and stretch out the capsule relieving both the pain and recovering full motion. During this procedure, Dr. Patel also has a chance to inspect the inside of the shoulder joint and make sure there is no internal damage. 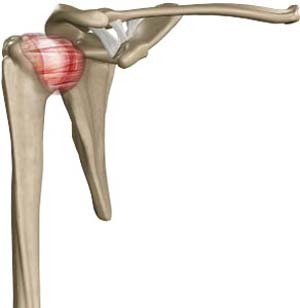 Dr. Patel may recommend shoulder arthroscopy when the conservative treatment does not work. During surgery, the scar tissue will be removed and tight ligaments, if any, will be released. Following surgery physical therapy will be advised to bring full range of motion and strengthen the muscles.